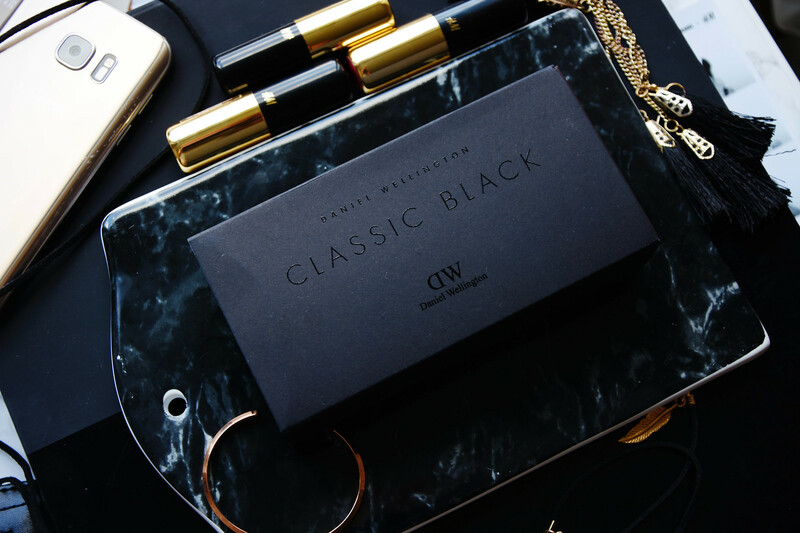 You probably already know that my love for Daniel Wellington watches is truly neverendless, therefore, I got very excited when I found out that the brand has come out with a new collection – The Classic Black. This collection is an extension to their Classic collection, but in a whole different manner as the black colour is the one that dominates throughout this collection. The black strap and black dial most definitely makes the watch look elegant and sophisticated. I had a really hard time choosing the watch, but I went for the Sheffield design and I think it has a really great classic look that will suit any outfit perfectly. DW has also come out with accessories – simple, yet sophisticated cuffs. Right now ont the website there is one cuff design in two sizes and two metals – rose gold and silver. I chose the small rose gold cuff in order to style it together with my brand new black Sheffield watch. You must believe when I say that this combination looks amazing! I definitely need to include this combo in one of my outfit posts so you can see how harmonic the duo is. 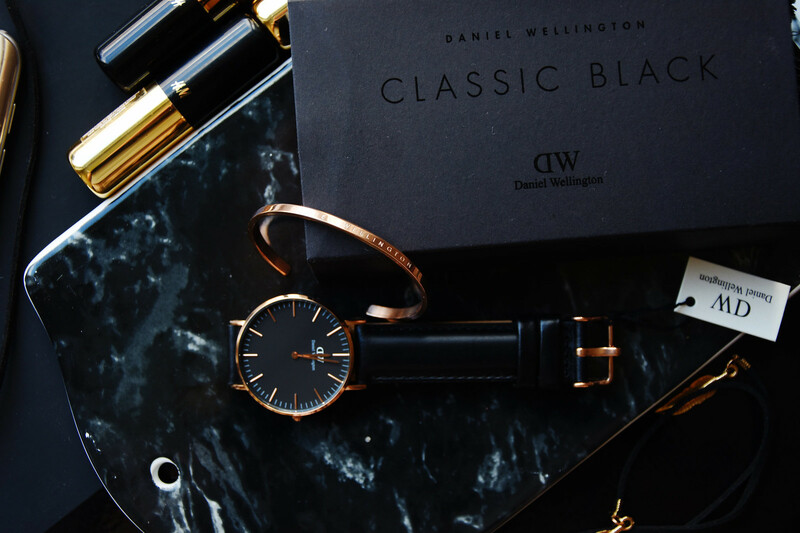 As per usual when I collaborate with Daniel Wellington I have a discount code. 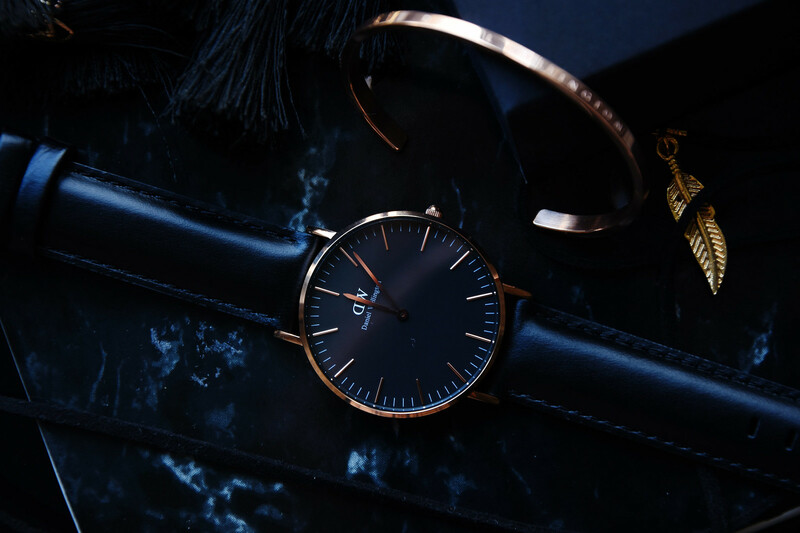 Of course, this time is no different, so if you wish to receive a 15% discount on any product on www.danielwellington.com use code “CALLMEMADDIE“. The discount is valid till December 31st. Iespējams jau ziniet to, ka mana mīlestība pret Daniel Wellington pulksteņiem ir neizmērojama, tieši tāpēc ļoti priecājos, kad uzzināju to, ka DW ir nācis klajā ar jaunu kolekciju – The Classic Black. Šajā kolekcijā ir apkopoti dažādi jau esoši klasiskie Daniel Wellington pulksteņu dizaini, bet pavisam jaunā formātā, jo šajā kolekcijā dominē melnais. Melna siksniņa un melna ciparnīca, kas, manuprāt izskatās ļoti eleganti un izsmalcināti. Mana izvēle šoreiz krita par labu Sheffield dizainam, jo, manuprāt, tam ir klasisks izskats, kas lieliski piestāvēs pie jebkura tērpa. Vēl viens jauninājums Daniel Wellington piedāvāto preču klāstā ir aksesuāri, jeb vienkāršas, bet izsmalcinātas rokassprādzes. Pašlaik ir pieejamas viena dizaina rokassprādzes, kuras ir iespējams iegādāties divos izmēros un divos metālos – rozā zelta un sudraba. Es izvēlējos mazo rokassprādzi rozā zelta krāsā, lai to saskaņotu kopā ar manu jauno pulksteni un ticiet man – kopā tie izskatās fantastiski! Noteikti šo kombināciju iekļaušu kādā no maniem nākotnes tērpa ierakstiem, lai varētu nodemonstrēt to cik saskanīgs ir šis duo. Kā jau katru reizi, kad sadarbojos ar šo zviedru zīmolu, arī šoreiz varu jums piedāvāt atlaižu kodu “CALLMEMADDIE“, kuru ievadot saņemsi 15% atlaidi jebkurai precei Daniel Wellington internetveikalā līdz pat 31. decembrim. 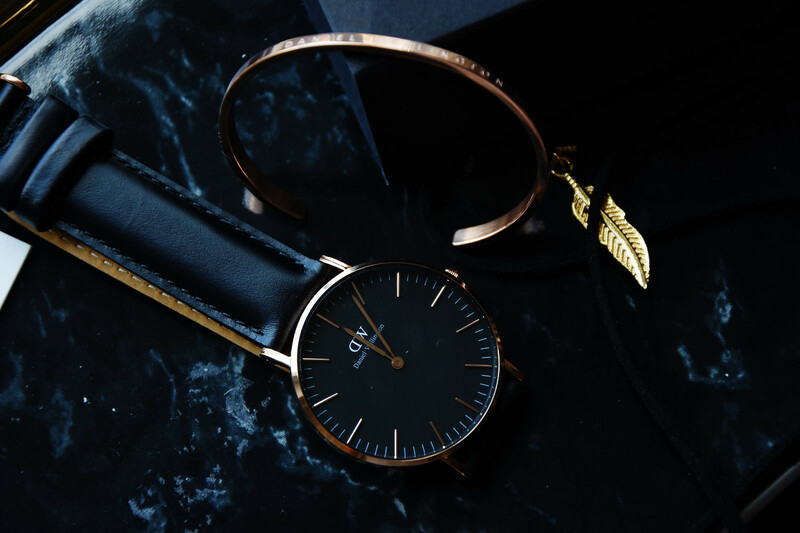 What are your thoughts on the new Daniel Wellington collection? Kādas ir Tavas domas par jauno Daniel Wellington kolekciju? 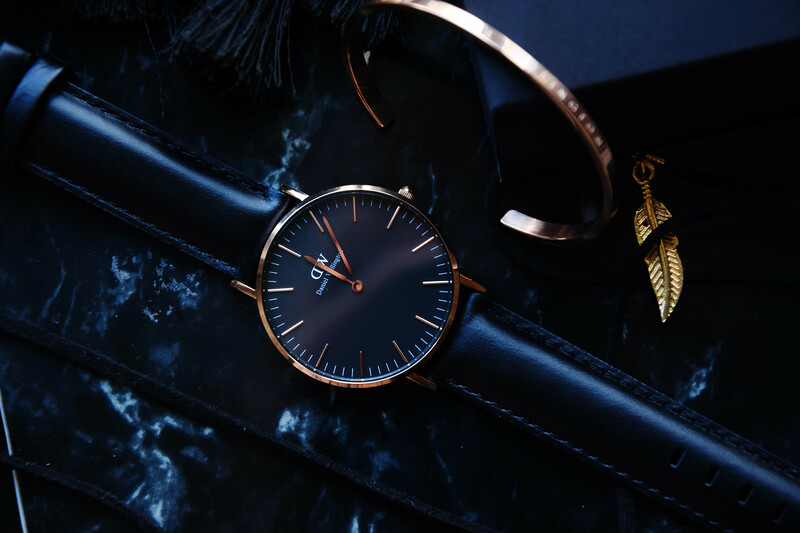 The black DW watch is simply elegant, and great flat lay styling! What size cuff did you get? My wrist is exactly the same size as the small cuff. Should I get the large instead of the small? I got mine in size small and it does fit me nicely! At first I was concerned because by the looks of it I did think that it would never fit me! It's hard to tell really, if I would be in your shoes, I suppose I'd go with the small one. Tik eleganti un sievišķīgi! Super dāvana uz Ziemassvētkiem! Jā, manuprāt, šī kolekcija viņiem ir tiešām izdevusies!